When we started from home before sunrise it was not exactly cold in Mumbai. 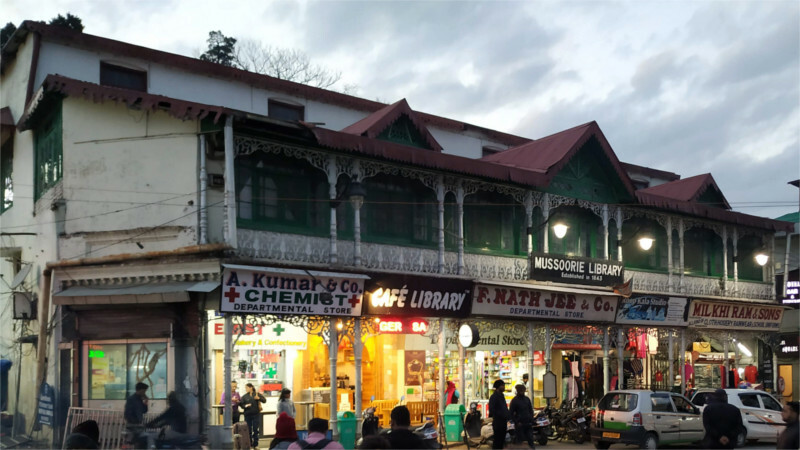 Now, at the end of the day, in the Library Bazaar of Mussoorie the little chill in the air felt nice. The Bazaar was named after the library which dominates one end of the square in which the Mall Road ends. We nursed our mugs of hot chocolate as we sat on some chairs in the arcade on the ground floor of the charming building whose upper floor is still the library. In the featured photo you can see the lovely iron pillars which hold up the second floor of this late 19th century structure. The cafe had a large menu which we looked at with great interest before we disappointed the waiter with our order of two hot chocolate. He looked so disappointed that The Family qualified the order with “Special.” We were not up to burgers or Maggi, but the Family noticed that the Chemist’s shop next door also doubled as a bakery. So now, we sat with our drink and munched on the almond biscuits which The Family had found there. We had plans for the evening, a stroll up the storied Mall Road, and then perhaps a drink or two at the Writer’s Bar, of which we’d read so much, before heading back to our hotel for a quiet dinner. The day had been long, and the next day would not be any shorter. But for now we were content to soak in the atmosphere of a little hill town, out of season, as the light slowly faded from the sky and the bazaar turned into a pool of light in the dark hills around it. 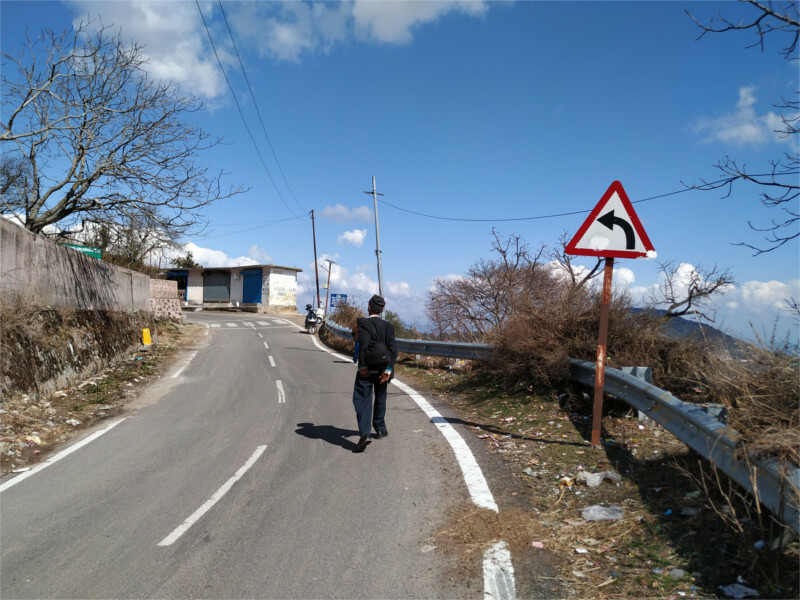 The town of Mussoorie originates with a hunting lodge built in 1823 CE by Frederick Young, not too far from where we sat. My best guess is that this beautiful iron and wood structure where we sat was built in the middle of the second half of that century. The library was started in 1843, and it is not unreasonable to guess that it found a house here twenty to thirty years later. Soon it would be time to move on to the bar in the Savoy Hotel, where a sensational murder in 1911 became the seed from which Agatha Christie’s first book, The Mysterious Affair at Styles, germinated. Mussoorie is so full of the ghosts of the past! When we reached our hotel with the wonderful view of the mountains from the balcony, it was a little past noon. We sat on the lawns and had a crisp thin-crust pizza and beer so well chilled that even at this height moisture was dewing the bottle as it sat on the table. The air was crisp and cool, as it should be at an altitude of over 2.5 kilometers above sea level. After lunch we could sit in the balcony, look out at the mountains and aestivate. Or we could go for a walk. We chose to walk. The afternoon’s light was mellow. One side of the road sloped down to fields and a village spread very sparsely over the hillside. It was nearly spring time. The snow had almost completely melted, and only shaded fields and slopes gleamed white in the afternoon. The sloping metal roofs of huts were weighed down by stones. Ruskin Bond in one of his books mentions a corrugated iron roof which was blown away in a storm and decapitated an “early-morning fitness freak”. At the sight of the stones I was reminded of that. But we were safe; this was not early morning. The road was deserted, but suddenly there was an apparition in front of us. Was it a ghost? No. From the way it swayed and sang it could only be the village drunk. We passed an agricultural research lab where rows of apple trees had grafts on them and were beginning to bloom. A large oak on the side of the road was full of sparrows. When we stopped to watch, we saw a pair of Streaked Laughingthrush (Trochalopteron lineatum) in the undergrowth. They are shy birds, preferring to hop about under cover, and are difficult to photograph. I was not satisfied with the photos which I got. 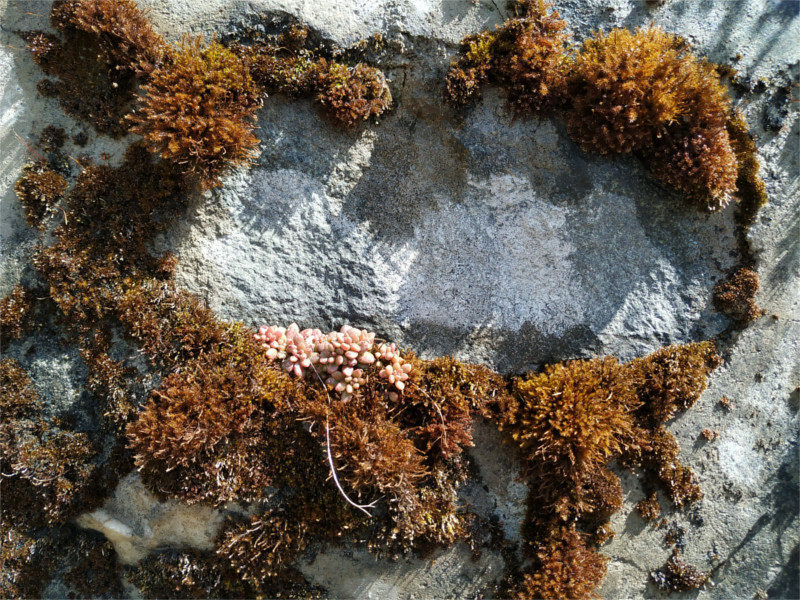 Moss grew on walls here, poking out through the mortar between the stones. I keep thinking that I’ll try to get a field guide to the mosses of India, expect that there is no such book. As a result, I have no idea which moss I’m photographing. One of these was beginning to flower. 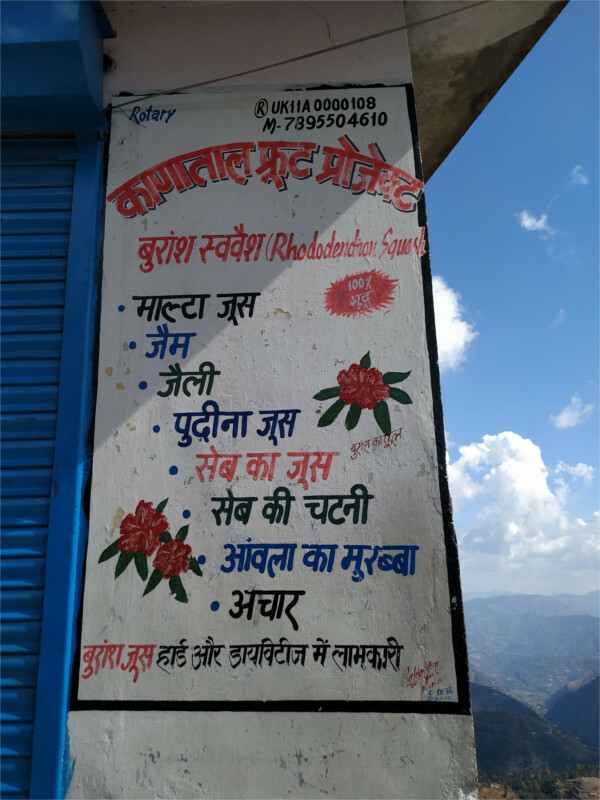 Although the solstice was a few days away, spring had come to Garhwal’s Sivaliks already. The shops at the turn of the road were all closed for the afternoon’s siesta. I loved their collection of preserves and juices. juice of rhododendron, mint, apple and the new citrus hybrid called the Malta were advertised, along with jams, chutneys and pickles. The British were convinced that rhododendron is poisonous, although locals have been drinking its juice for ages. We reminded ourselves that we would have to come back here later; we’ve always enjoyed drinking this juice when we are in the mountains. We walked on for a while more, but then clouds started to drift in. 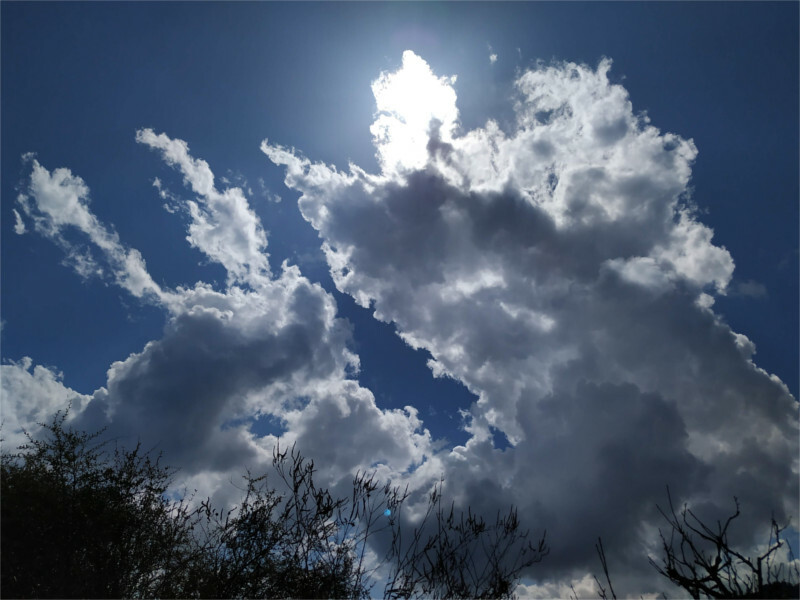 The weather prediction was of light rains in the afternoon. We turned back; it would be a twenty minute walk back to the hotel. It would be time for tea when we got back. 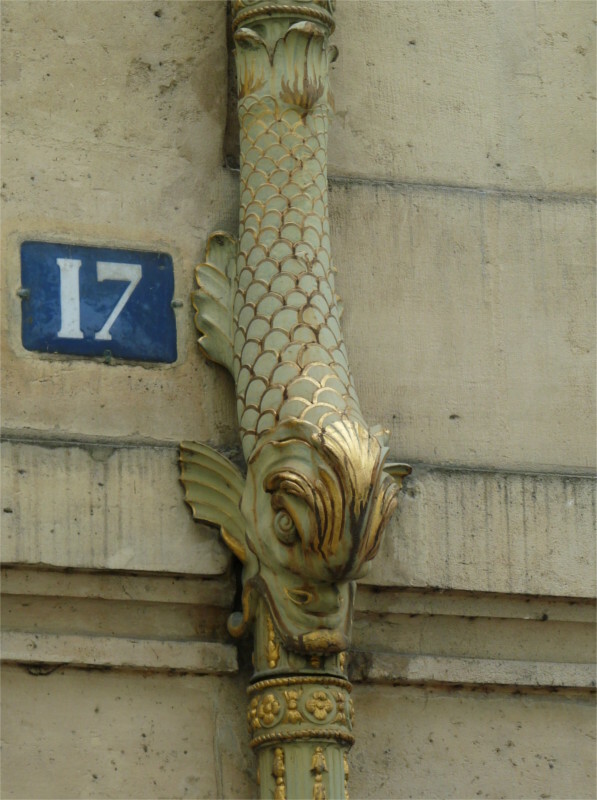 While looking for photos of Notre-Dame de Paris two days ago I came across several other photos of the little lanes around it, in the 4th and 5th districts. I used to like to find an apartment in the 5th, and roam the streets of the 4th with my camera. The featured photo shows the embankment of the Seine river, at the Ile de la Cite, viewed from somewhere near Shakespeare and Company. 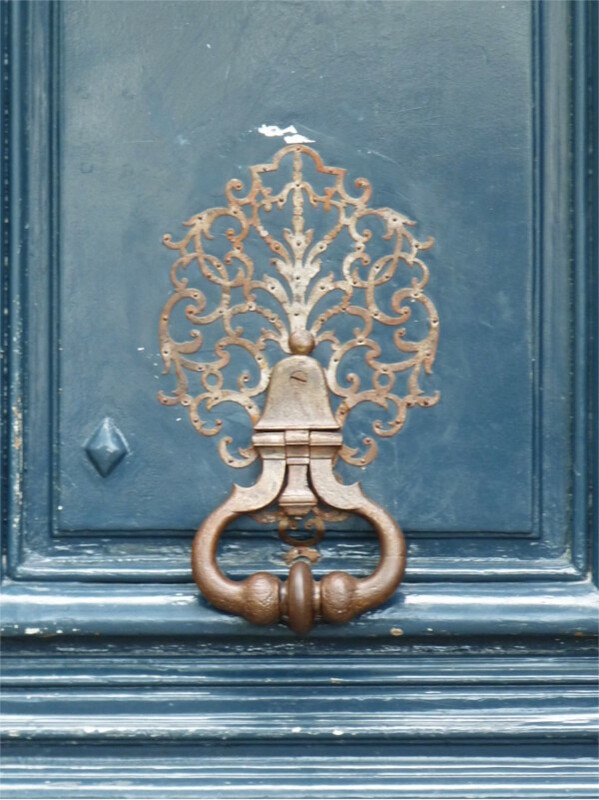 A door knocker which caught my eye as I walked around the 4th arrondissement. I have no record of the street and house number, and it will be very hard to find this again. This is a clue to the location of that door. At least this drain pipe comes with a house number. I have a memory that it was in the same street as the door, but which street? Again, somewhere in the 4th district, I think it is somewhere between Place de Vosges and Pont Marie, but again I didn’t take a photo of the street and house number. This shouldn’t be hard to find. Berthillon in Ile St. Louis is an old establishment. 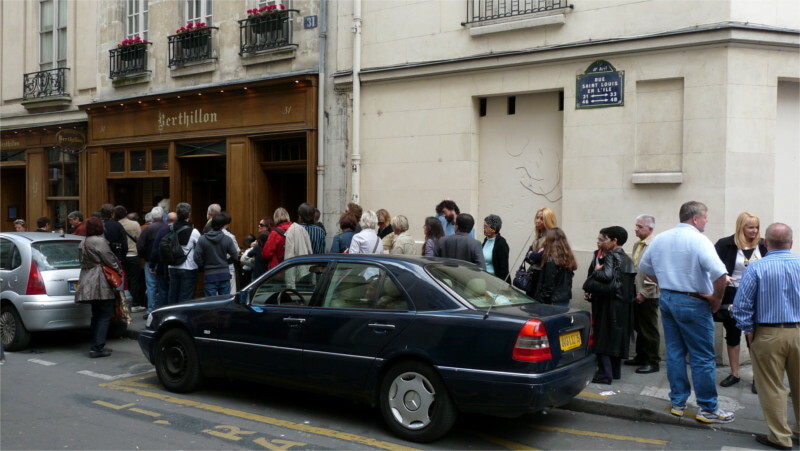 Once upon a time The Family and I stood in this queue often. One of the servers suggested a combo of a scoop of sour lemon sorbet with another of dark chocolate ice cream which became my favourite one summer. 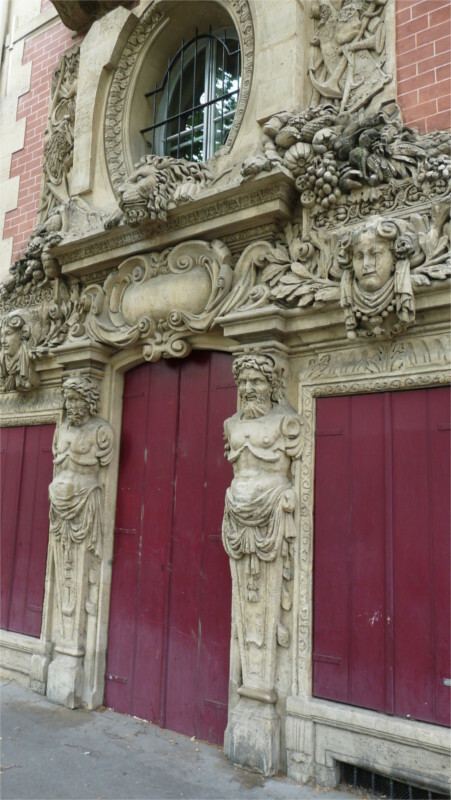 This door is certainly in the 4th arrondisement, probably between Place de Vosges and St. Paul. I really liked this, because I took many shots, but not a single one of the street name. 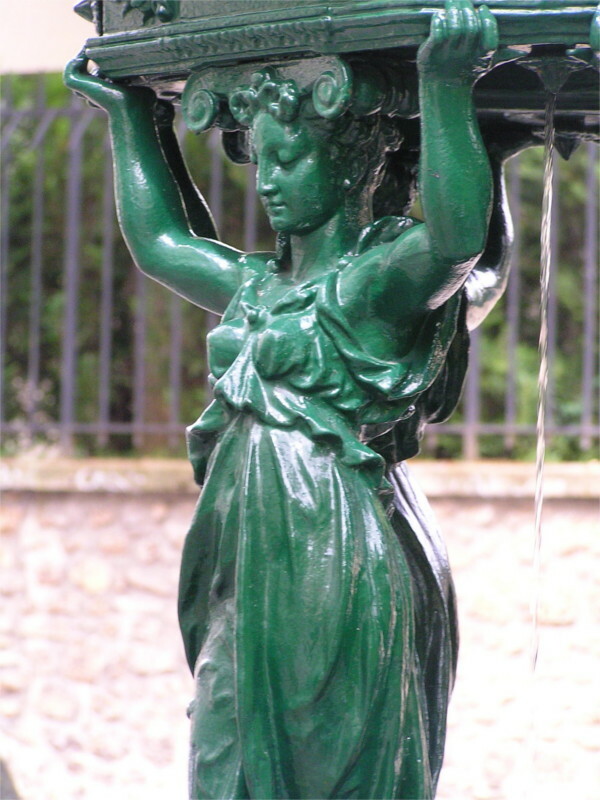 These water fountains are common through the 5th arrondisement. Now I can’t remember whether you see them elsewhere. Certainly not in the 1st and 2nd, but may be in the 6th? 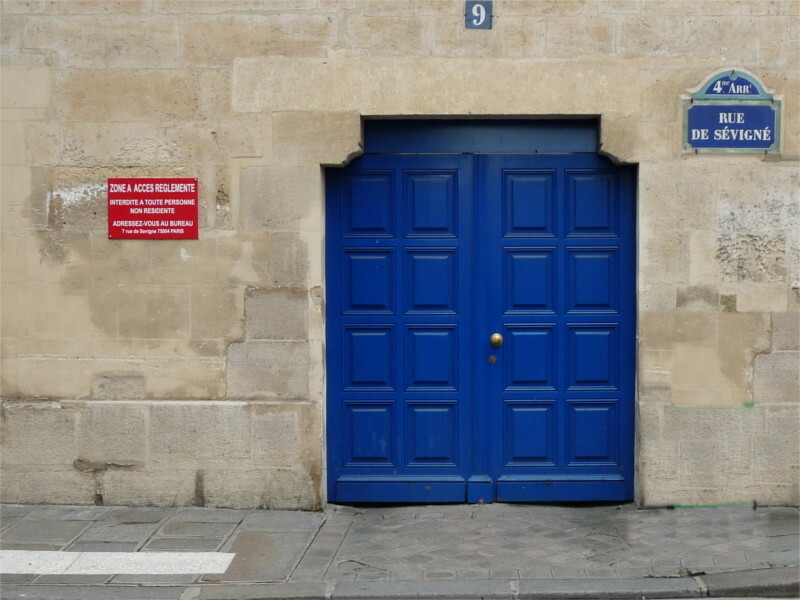 I very clearly remember coming across this blue door and red sign after coming out from one of my favourite restaurants, where I first tasted Izarra, on Rue de Jarente. 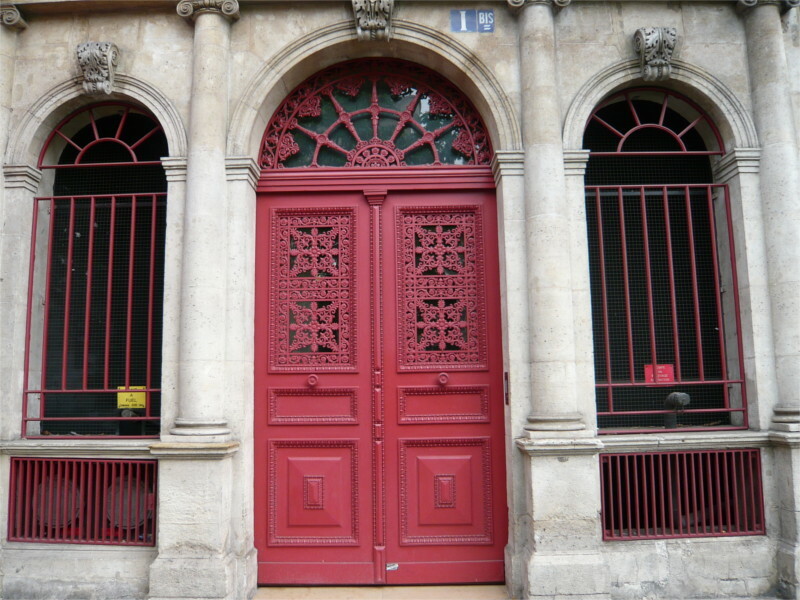 Doors in this particular shade of blue are very common in Paris, at least in my memory. Although the restaurant has now closed, I think I should go back to see whether this door remains the same colour. 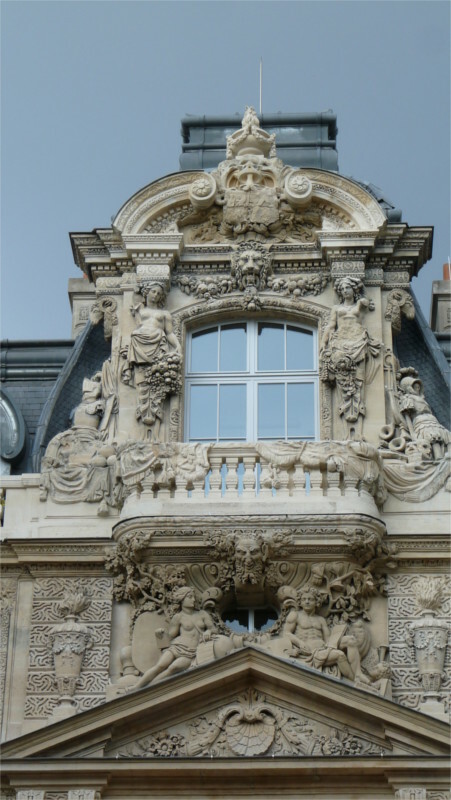 Somewhere in the 4th, somewhere between Bastille and St. Paul. I spent much more time walking around the 5th and 6th, but so many of my photos are of the 4th. I call these petit fours, like the small confections you have with coffee. They leave a sweet memory, but they are not a meal. When I was young, so much younger than today, I wouldn’t mind having a stiff drink in the morning. Now those days are gone and I’m happy to spend an evening in a nice cozy table for two next to a nice well-lit bar trying to choose from a long menu of options. I selected something that I could stick with through an evening. The traditional promenade! How could we not walk it on our first evening in Mussoorie? The next day was full of a hundred things that we wanted to do. There was no rain predicted for the next three hours, so we started our late evening walk from Library Square. The steep drop on one side gave us a nice view of Dehradun at night: a twinkling galaxy below our feet. The narrow Mall Road is crowded and full of cheap hotels, some truly awesome tourist junk, and lots of food carts. 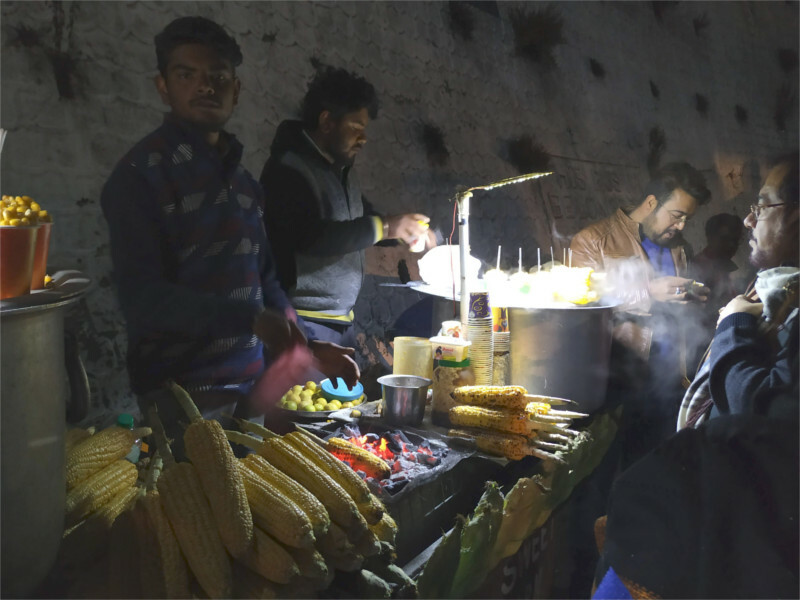 A lady sat waiting for customers at a cart with a poster which read “Mussoorie Chat Corner”. She was out of luck today. Her bun tikki, big drum of chutney, samosas, were not attracting many passersby. Her face in the photo tells of dashed hopes when The Family and I stopped only to take a photo. A neighbouring cart did much better business with roasted bhutta and fresh tikki chole. 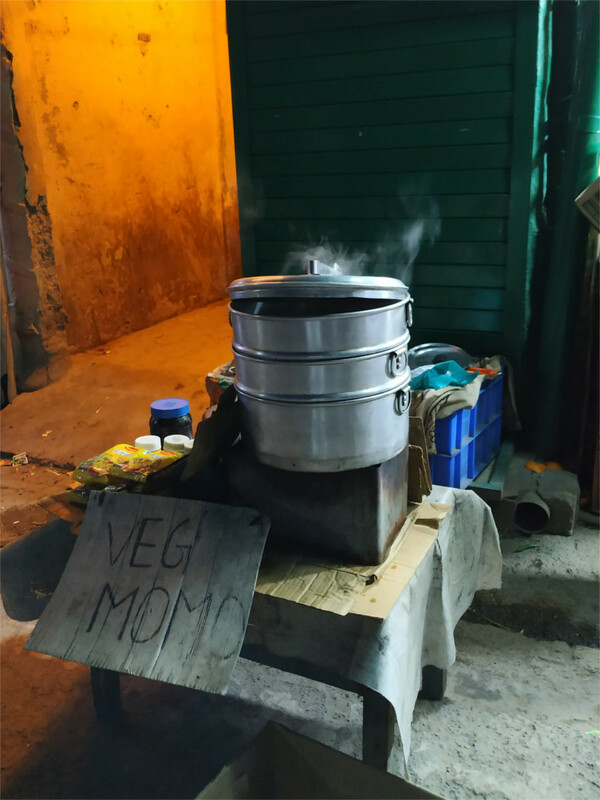 Tibetan food spread right across the Himalayas years back, so it is impossible to walk along a place like this without encountering stalls full of steamers. This one promised veggie momos. The father and son manning the makeshift stall were dressed in dark blue, and would have made a lovely photo. As soon as I raised my phone, they skedaddled out of the frame. They didn’t want their photo taken. Superstition or legal issues? I apologized and the father accepted the apology with grace. The stall still looks good I think. 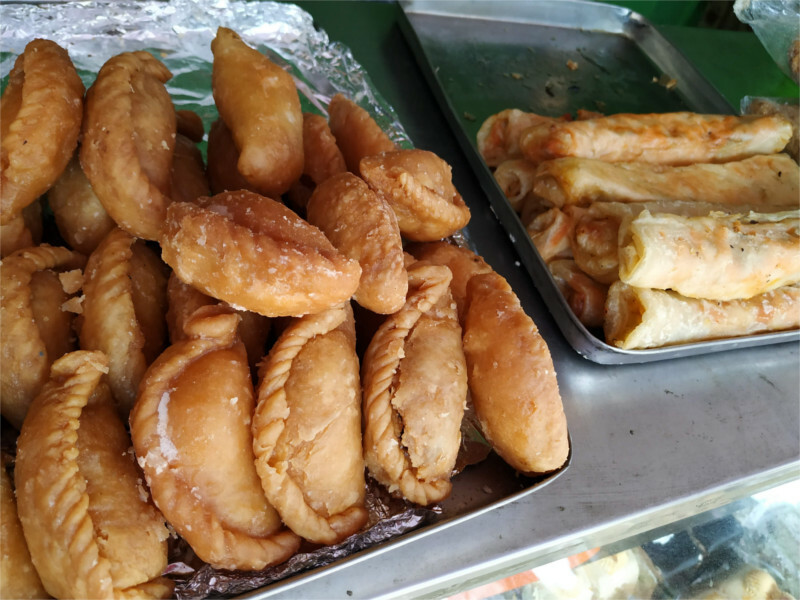 I love how eclectic Indian street food is: potatoes, chili, and corn from the new world, samosas from Turkey, momos from Tibet, buns from Britain, all with local spices. 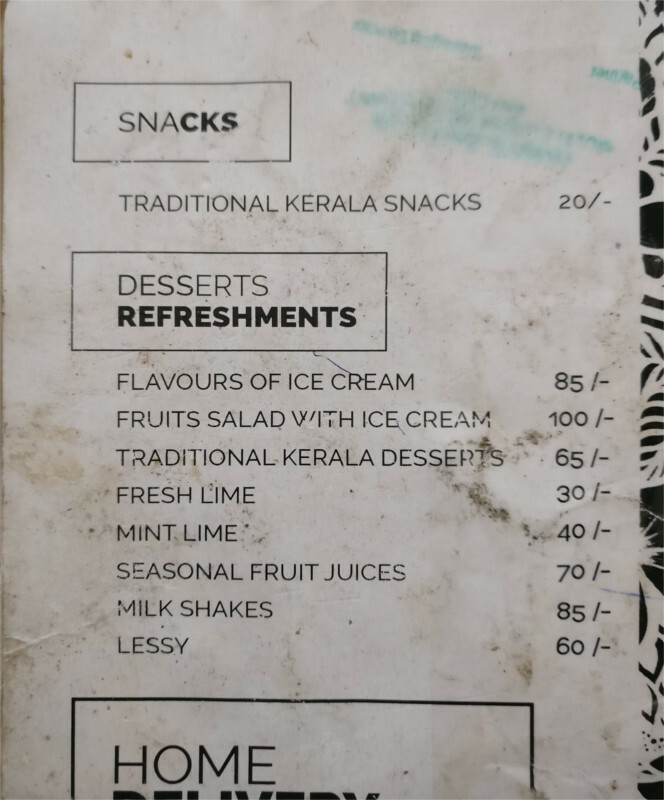 Kerala is independent territory, independent of food chains. You can eat what your mom wanted you to eat. And they make it so well that you’ll have no argument with it. On our drive back from Munnar to Kochi half a year ago we stopped for lunch on the way in a clean and well-lit restaurant. We picked the place because of the green wall which was the front of the restaurant. The food couldn’t be bad, we thought, if they have enough taste to cover the front wall will a vertical garden. The toilet was clean, and had the endearing sign which you see in the featured photo. 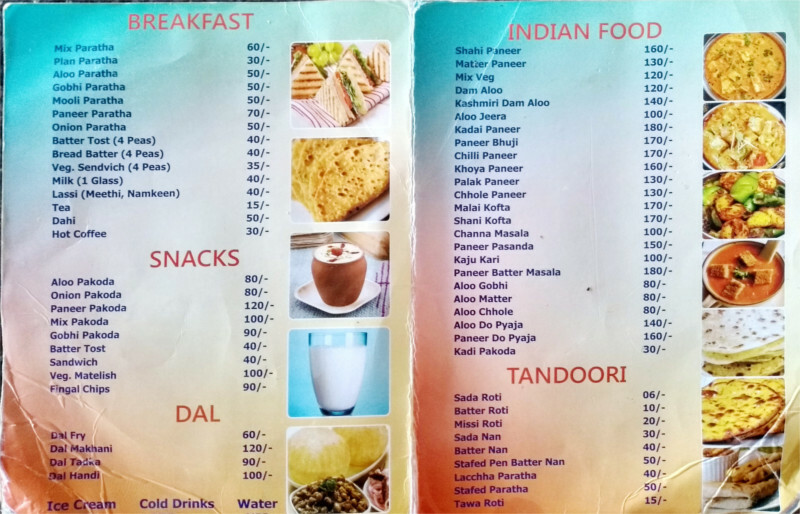 The menu had lessy errors than is normal in a roadside eatery. It turned out that apart from the fruit juices on the menu they could give us coconut water. We went with that to accompany a traditional Malabar Biryani: fragrant with spices. If I were a Vasco da Gama eating it on a far shore I would have set sail for Kerala immediately. 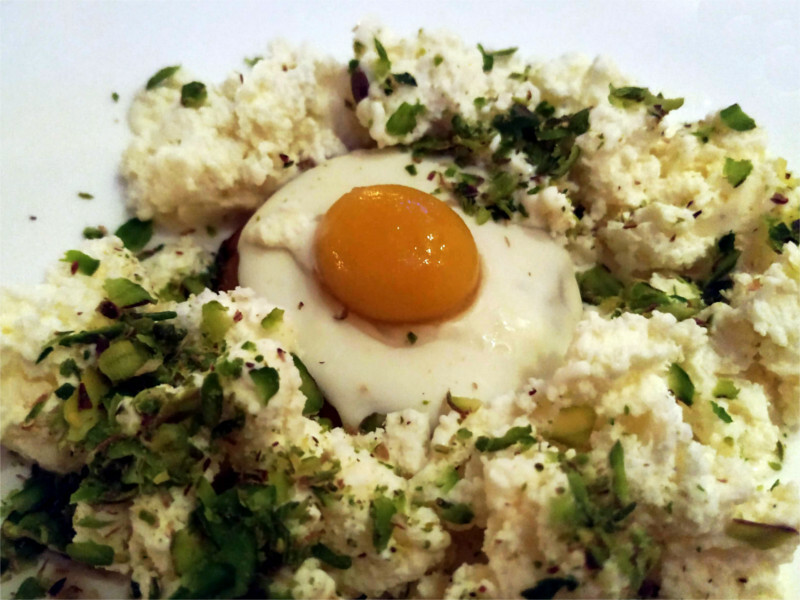 The raita which came with it was mouth-burningly hot with green chilis; five centuries after the churn of new foods crossing oceans in holds of ships, Kerala’s inventory of spices has increased. 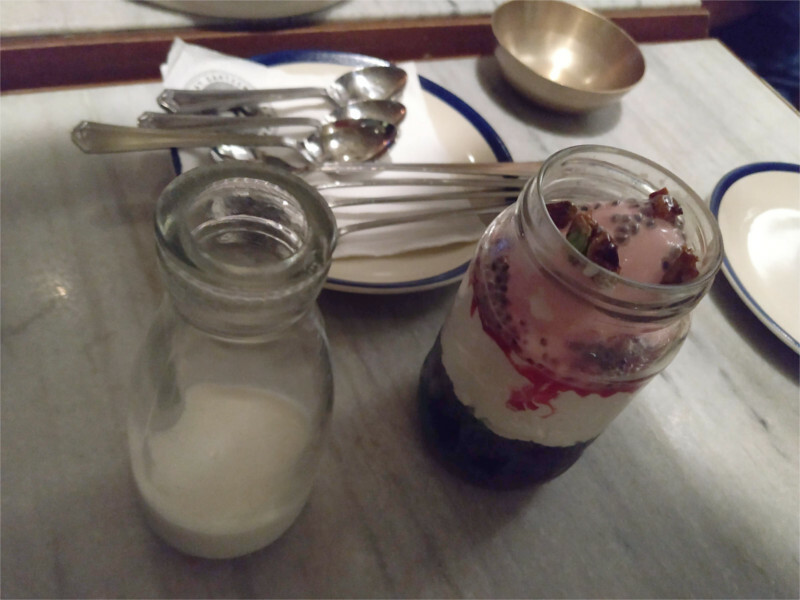 The coconut juice helped in moderating the raita. On the way out we’d stopped for breakfast at a more typical roadside place which promised the usual pan-Indian roadside menu. But the touch of Kerala changes things. Pineapple with potato tikka? Not found in the hot and dry northern plains, I’m afraid. 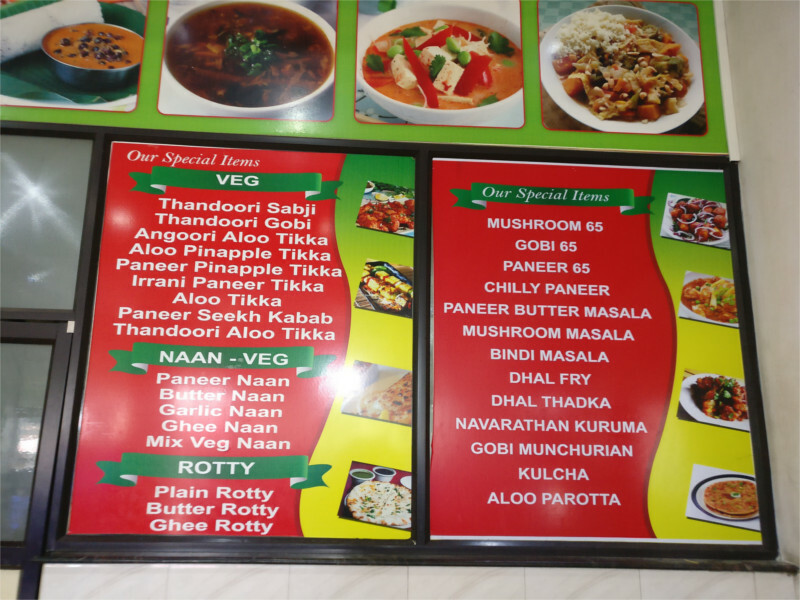 Bindi masala and plain rotty are typical roadside spellings. The province of Munchuria has long become unmoored from the cold north, and has taken root in Indian kitchens. We looked at the menu and asked for what else they have. 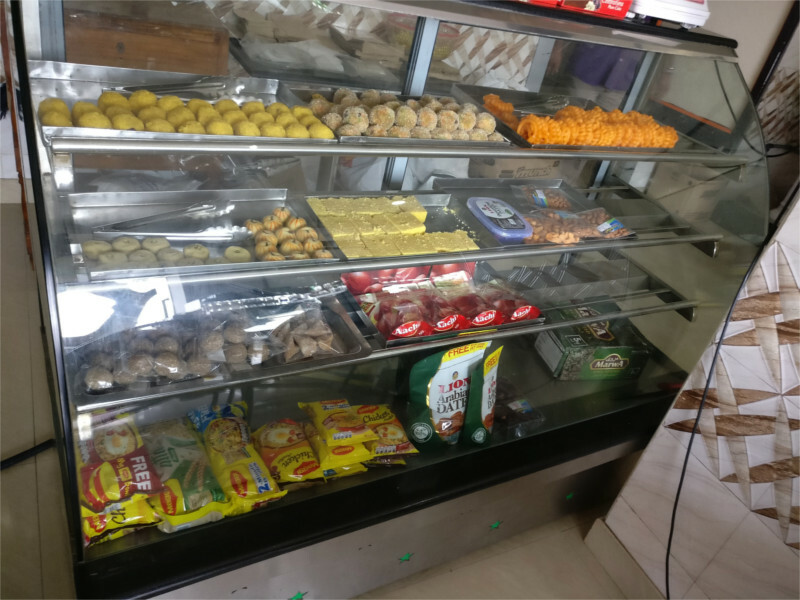 While we waited for idli, vada, and coffee, I did my usual trick of walking up to the sweet counter and peering deep into it. The collection was small but interesting. Pedha, laddoo, and barfi is now found right across India. But there was a local coconut-based sweet packed into plastic bags. And there was that thing off on the side which looked like a cross between jalebis and murukku. Probably too sweet for the first thing in the morning. I went back to my idli and coffee. I can’t remember a time when I didn’t look into a display of sweets in a shop and sigh. As a child I would spend my time looking at all the sweets in a display (while an accompanying adult took charge of buying the most boring thing visible) and trying to fix their shapes and colours in my mind. Now I gaze at the things I do not really want to eat, but a lifetime’s habit makes me want to photograph and share with the Youngest Niece. I got a very satisfying smiley back from her. What will I do when she is too old to respond so spontaneously? Then I saw this tray of gujia. They reminded me that Holi was just a few days away. 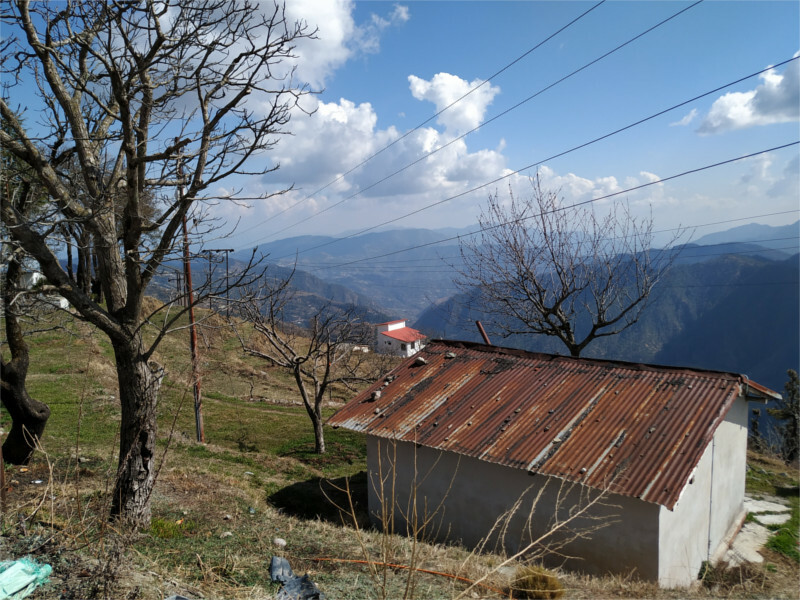 1750 meters above sea level, in New Tehri, Holi was probably celebrated in much the same way that people would celebrate it down in the plains. At least, with the same sweets. There will always be people who enjoy sweets, to look at, if not to eat. Every now and then I go back to the restaurant I consider Mumbai’s finest. The dessert sticks to my mind as much as to the rest of me. This time was no exception. I’d been there twice in the same week, which is a bit of overkill. My excuse? The first time was a dinner with colleagues after work, the second with family. One of the things I like about this place are the very helpful suggestions made by the staff. The first time we went, everyone wanted a dessert by themselves. The server suggested that after a big meal some of the desserts could be shared. He was right. What do you think of when you say food? That’s a question that I’ve started asking people. The inevitable answer for an Indian is “dal chawal”. The featured photo shows a plateful of what The Family cooked up when we got back from a couple of weeks in China. If you’ve followed those posts you’ll know how much we enjoyed the duck and dumplings, and the custard and cakes. “But,” as The Family sighs after ten days, “I wish we had some simple food.” That first plateful of dal and rice is a wonderful back-home-again feeling. So, to take my question on-line, what do you think of when you say food? 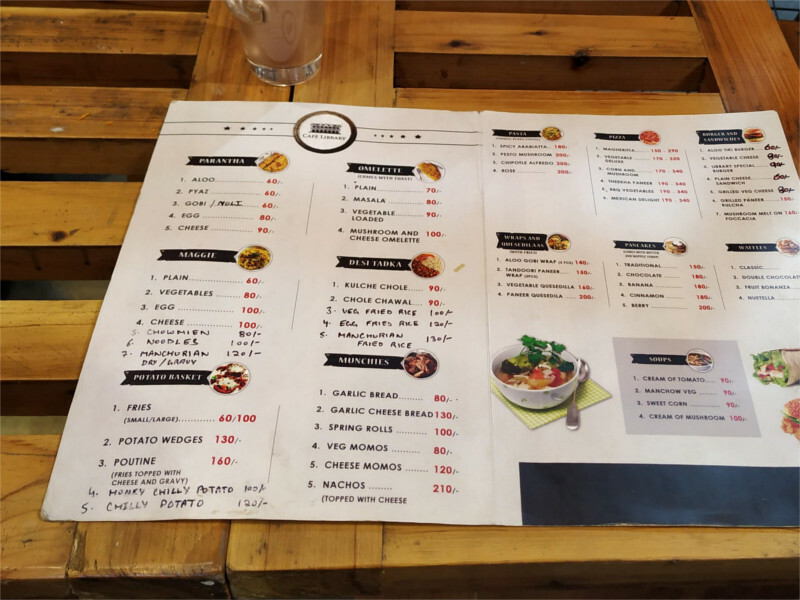 Author I. J. KhanewalaPosted on March 3, 2019 February 26, 2019 Categories Culture, Food, IndiaTags dal and rice23 Comments on What do you think of when you say food?